Minor Rubber offers an extensive inventory of high quality bumpers, tips and appliance feet in various sizes and shapes for industrial use. In addition, we have the capability to manufacture a custom part to meet your specific application requirements. Our industrial rubber bumpers, tips and feet are used in a wide range of applications, including electronics, aerospace, healthcare, construction, transportation, and defense applications. Minor Rubber serves the OEM and replacement part markets, and maintains inventory for industrial distributors. 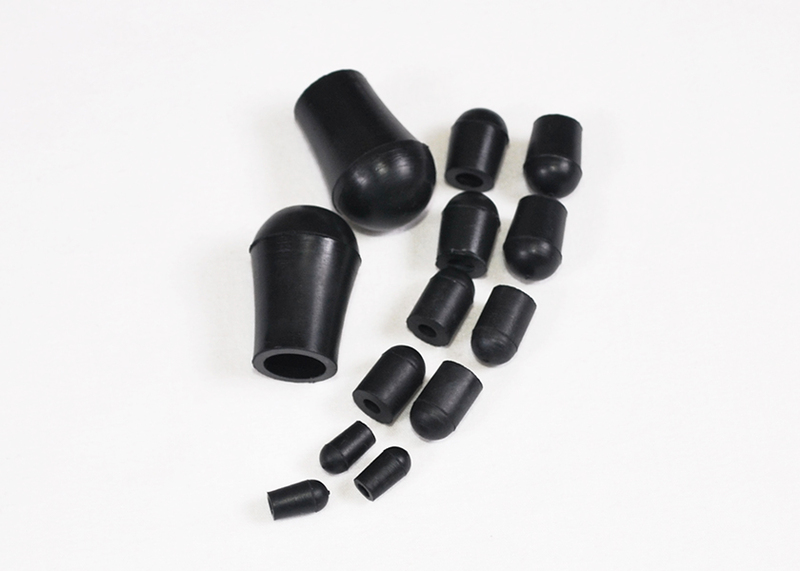 We manufacture custom rubber bumpers, tips and appliance feet using commercial grades of SBR, as well as Neoprene® 1, EPDM, nitrile, and silicone., including high-temperature silicone bumpers. Materials are available in commercial and specification grades including: NASM, ASTM, AMS, SAE and others. At Minor Rubber, we have earned the reputation for manufacturing high quality rubber parts. Our attention to detail and commitment to excellence for every project, coupled with our experience and knowledge of the industries we serve, ensure that your rubber bumpers, tips and appliance feet will meet or exceed your expectations. Call today to see how we can be of assistance. 1 Neoprene® is a registered trademark of DuPont Performance Elastomers # Neoprene® is a registered trademark of DuPont Performance Elastomers for their brand of Chloroprene Elastomer; Minor Rubber reserves the right to provide a chloroprene material of another manufacturer in lieu of Neoprene®.